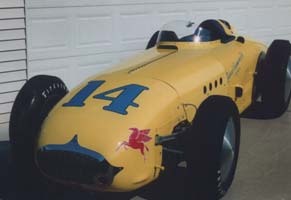 These are Russ Snowberger cars John restored. 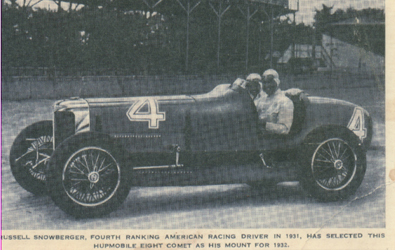 Has selected this Hupmobile Eight Comet as his mount for 1932.
congratulating his driver on 2nd Fastest time of the 33 car field. 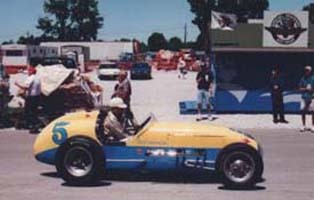 Qualified 2nd fastest - started in 4th spot because of qualifing on the second day of time trials. 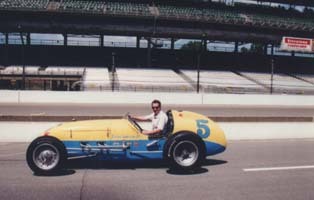 Vukovich killed on lap 56. 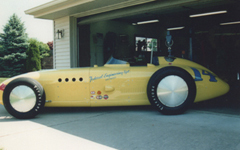 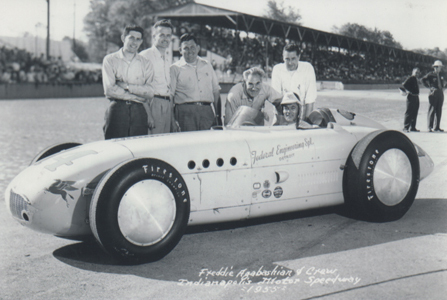 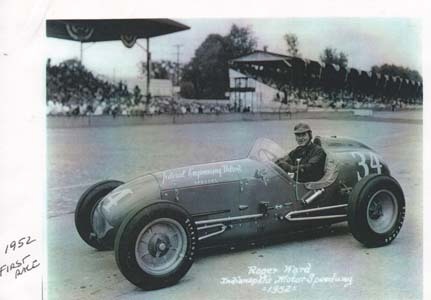 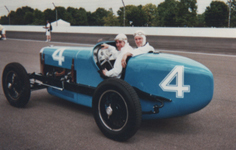 Chief Mechanic Russ Snowberger campaigned The Kurtis Kraft 4000 in Two Indy 500's and 54 AAA-USAC Races including the Pikes Peak Hill Climb setting fast time in 1954. 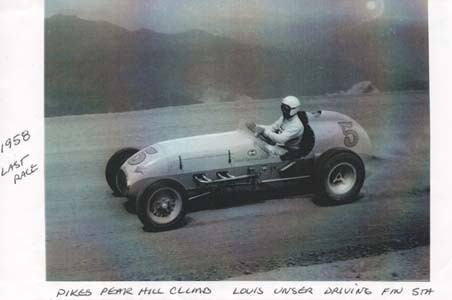 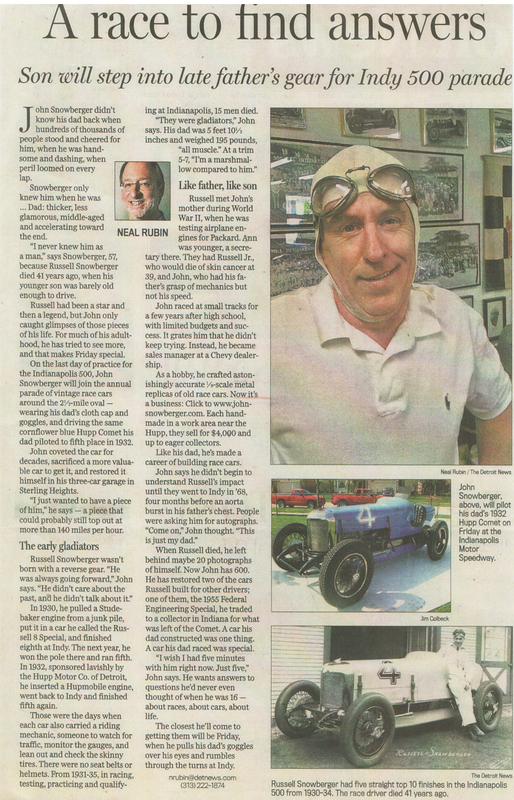 Russ sold the car in 1959 to a local dirt racer. The car was cut down and modified. 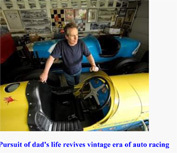 John bought it 30 years later and restored it back just as it was when Russ last ran it.